Maximum hot water temperature: 85°C (for safety, a recommended hot water storage temperature maintained below 85°C and for ablution installations at between 60 to 65°C). 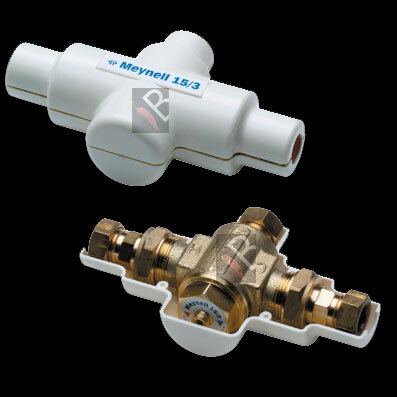 The Meynell 15/3 does not have an integral flow control. Separate outlet flow control such as a tap, mechanical timed flow control device or solenoid is required. The device chosen should be non- concussive in operation. Hot (H) and Cold (C) inlets are clearly marked and must be connected this way. 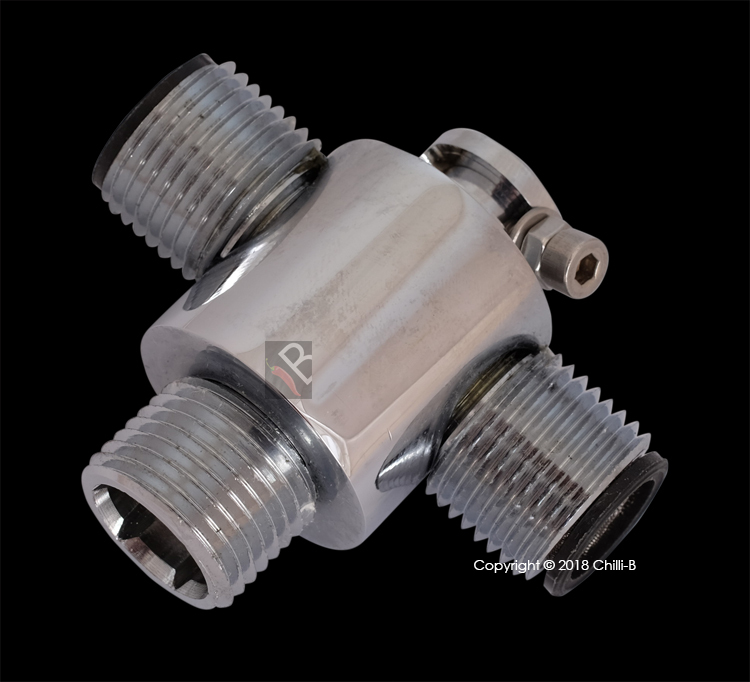 The inlet connections have integral strainer and check valve units. Minimum operating pressure: 0.1 bar. Maximum pressure loss ratio*: 10:1 (in favour of either supply). Maximum hot water supply temperature: 85°C. Maximum cold water supply temperature: 25°C. Note! Both hot and cold pressure should be nominally equal. The GroTherm Micro is a small thermostatic mixer designed for single hand wash basins only. 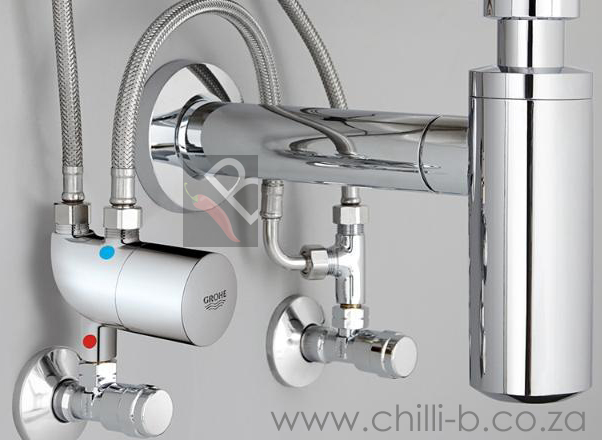 It protects the user from scalding and reduces or mixes hot and cold water to a temperature between 15- 43°C. The GroTherm Micro is extremely easy to install with the two connecting braided pipes. The GroTherm Micro is ideal for hands free basin systems where a knee operated valve or floor operated valve are used. 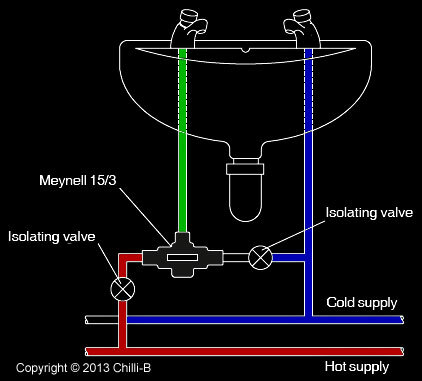 Since both these valves are not mixers (they do not mix hot and cold water), they require a thermostatic valve for warm water. The EL-X60 is a small single basin mechanical hot and cold water mixer. It does not regulate the temperature as the GR-THERM or W-15/3. The mixing rate depends on the pressure and flow rate of the hot and cold inlets. This means you will have to regulate and set the flow rate and pressure manually in order to obtain the correct final outlet temperature. The mixing rate can also be adjusted on the device. Hot & cold water mechanical mixer. The unit does not control the temperature. Protecting the thermostatic valves from dirt and high pressures. 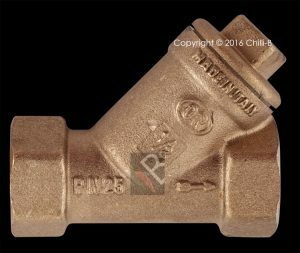 WARNING: Thermostatic valves must be used with 15mm inline strainers to prevent dirt damaging the interior of mechanism. Warranty is void if no inline strainer is used. 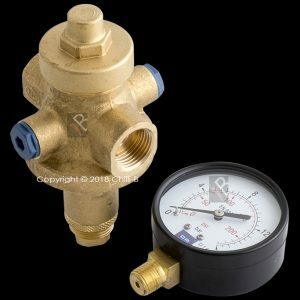 If you suspect the pressure exceeding 6 bar, please install a pressure regulating valve.